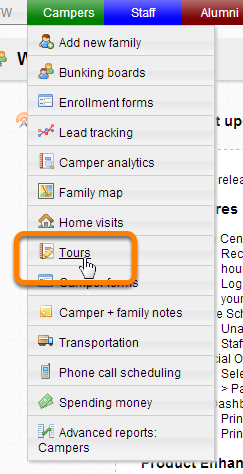 To create tour slots, select "Tours" from the Camper dropdown menu on the navigation bar. Click "+Add new tour slot..."
A pop-up window will appear that allows you to select the time for your new tour slot. The new tour slot has been added to the calendar.